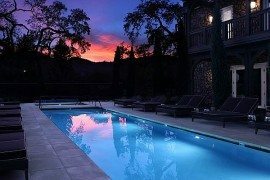 The vineyards of Napa Valley are renowned across the globe for more reasons than one, and a journey through the landscape leaves you absolutely enthralled. 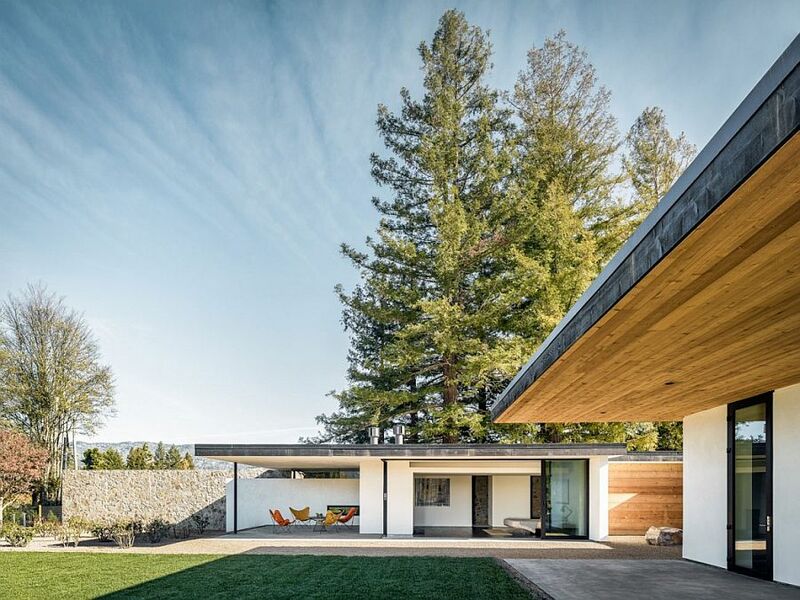 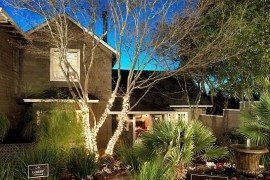 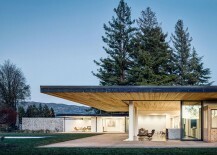 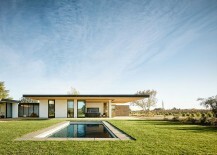 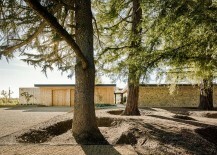 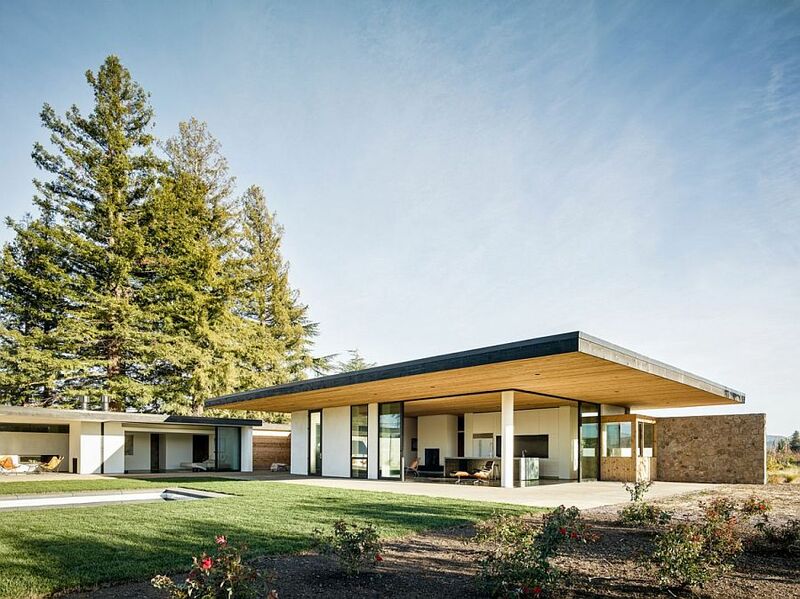 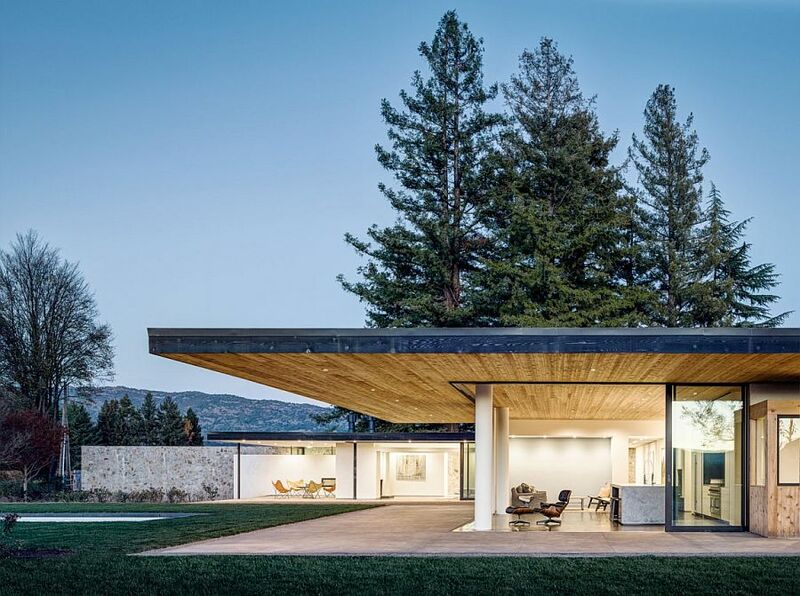 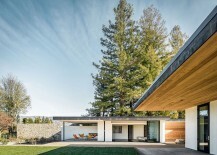 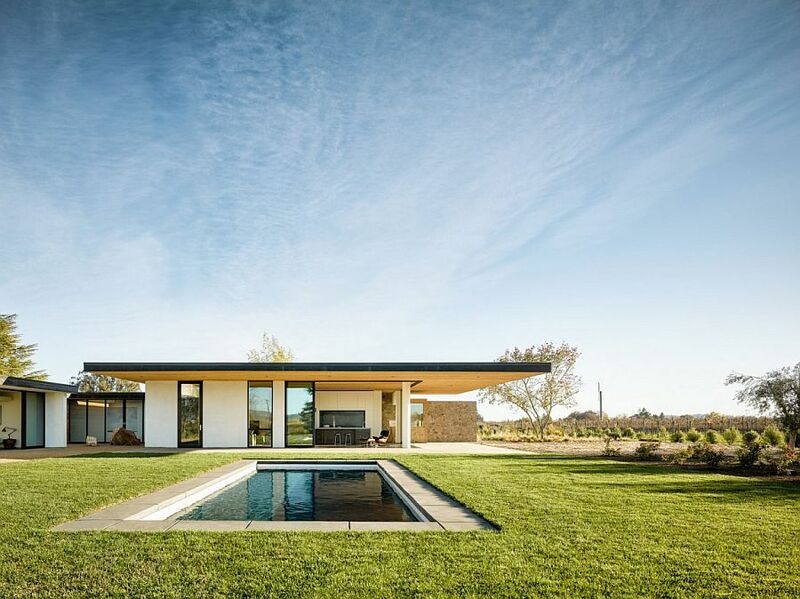 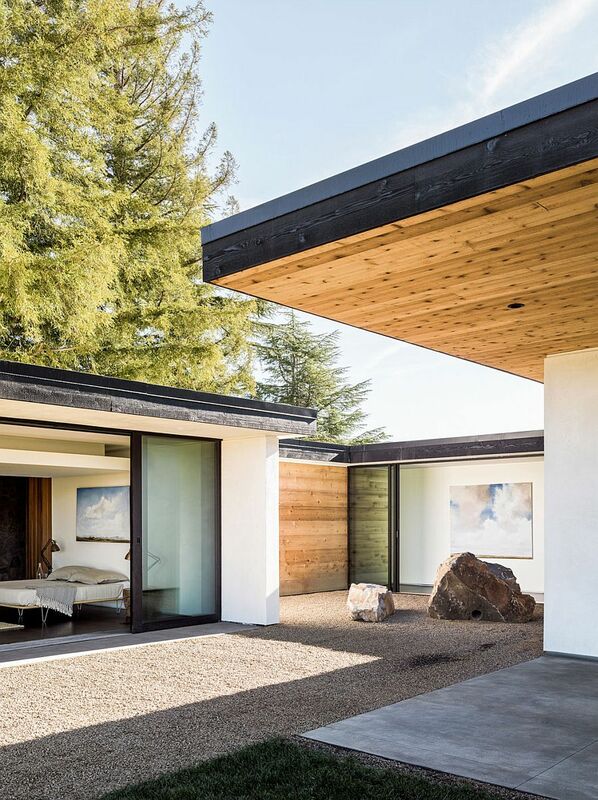 It is this scenic backdrop that plays host to the fabulous Oak Knoll Residence on the outskirts of Napa. 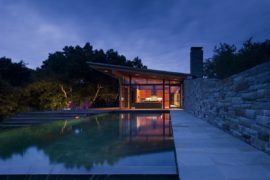 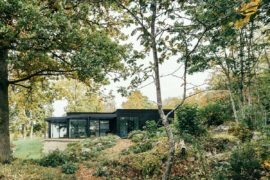 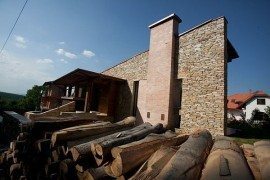 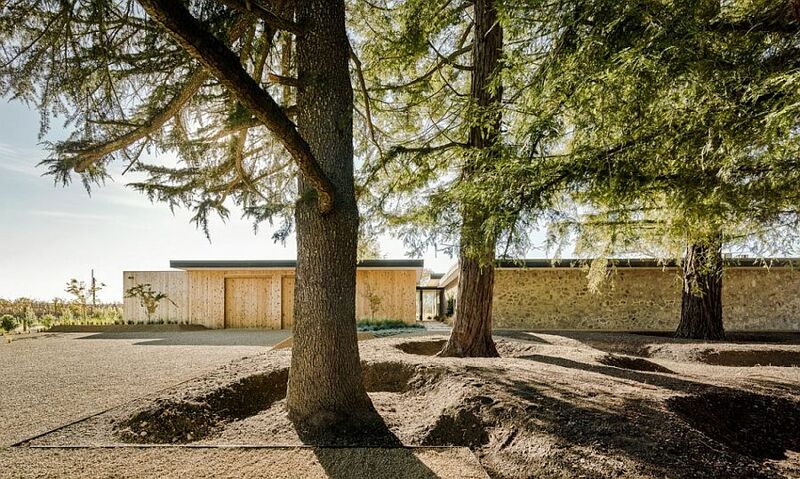 Designed by Jørgensen Design, the stylish contemporary residence is clearly demarcated into two zones, with one being clad in stone and the other draped in cedar. 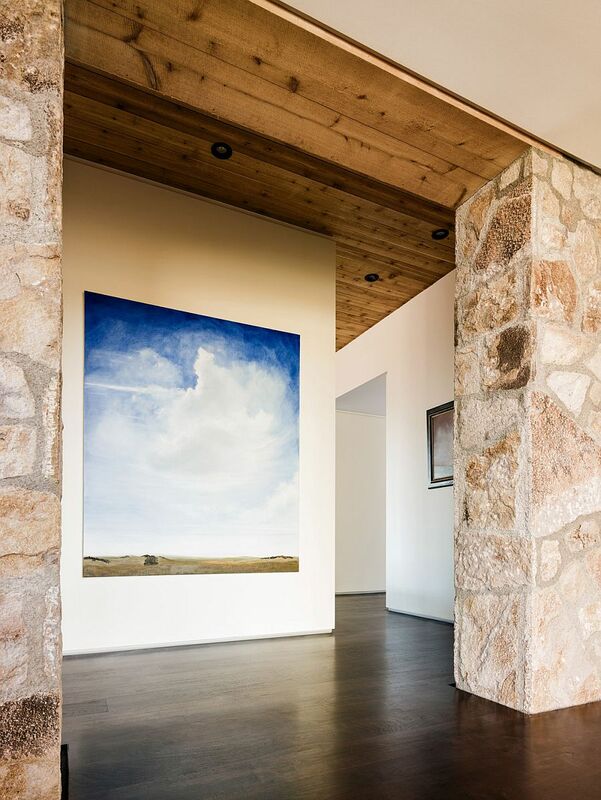 The two materials present a lovely contrast visually while bringing a touch of rustic beauty to an otherwise elegant modern residence. 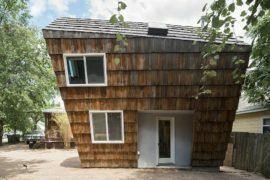 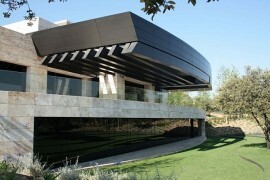 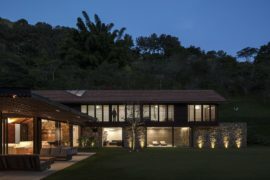 The two distinct wings form an L-shaped structure that is completely closed towards the street and opens up in an unabated fashion towards the rear using large sliding glass doors. 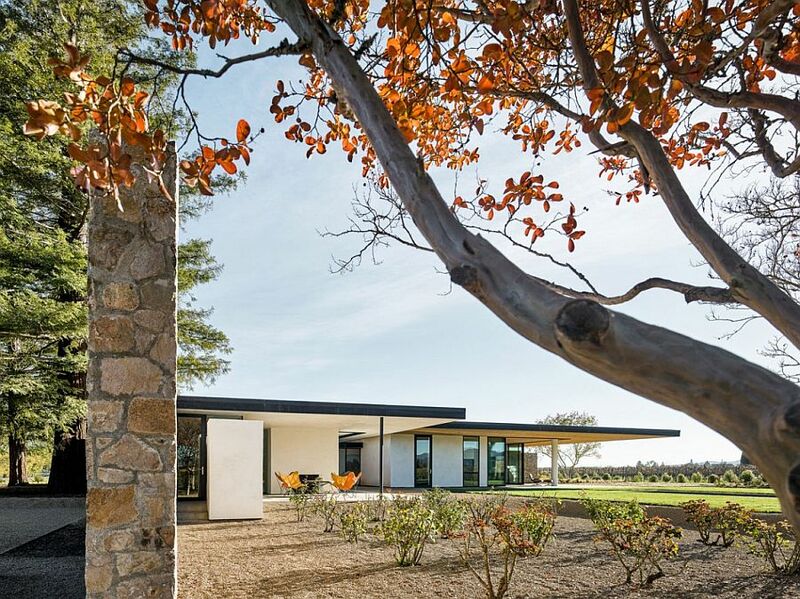 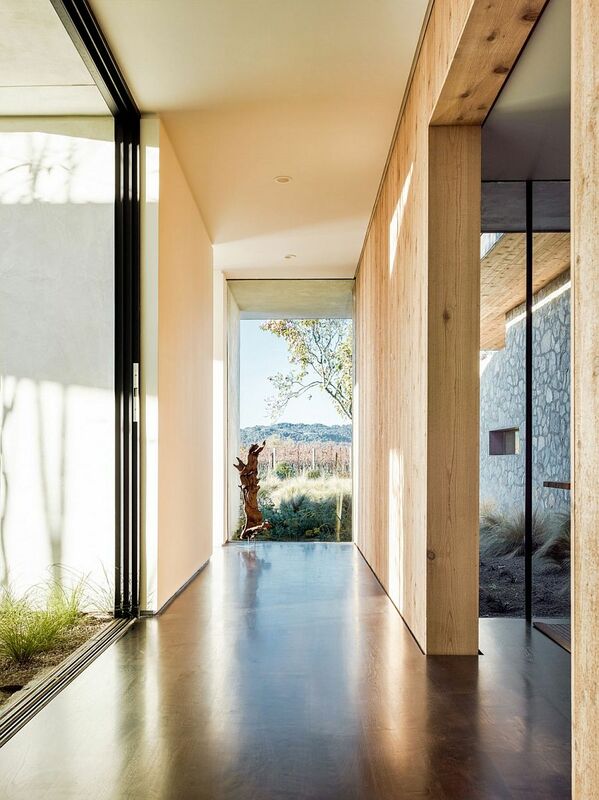 Creating an intricate series of pathways, corridors and courtyards, it is the interaction between these two distinct zones that shapes the ambiance of the Oak Knoll Residence. 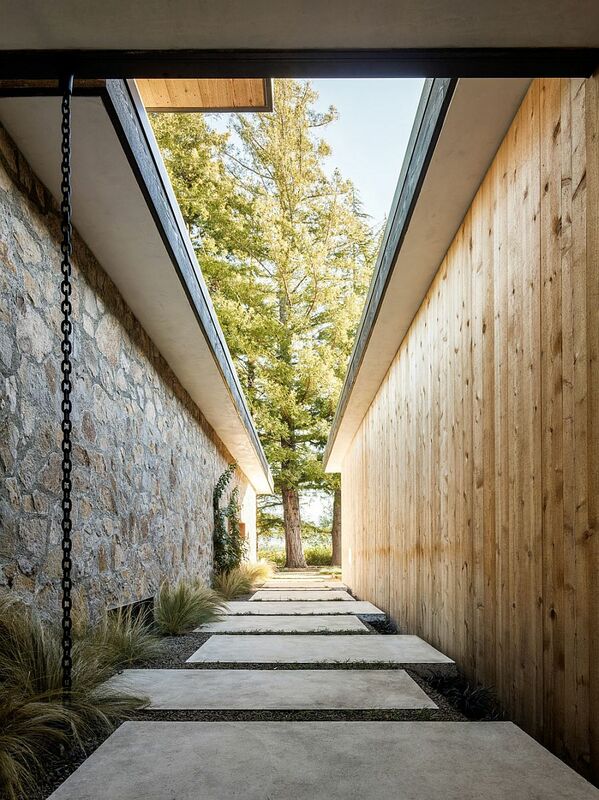 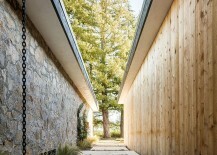 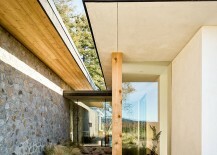 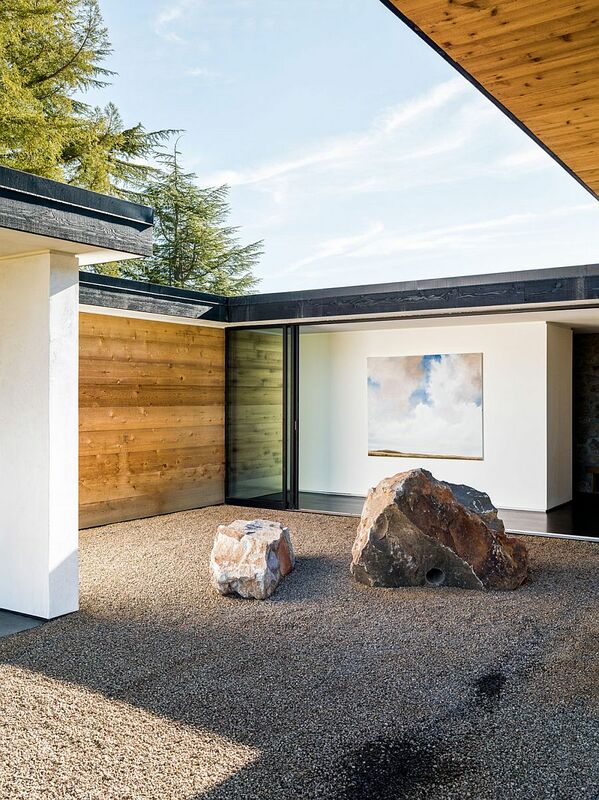 A simple garden and a porch-style atrium lead you to the glass foyer that contains the entrance to both the stone- and cedar-clad wings of the home. 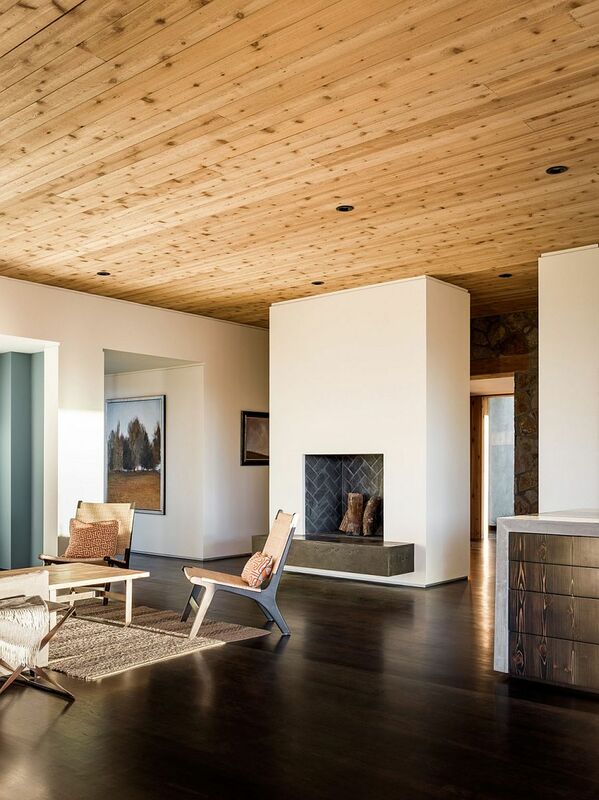 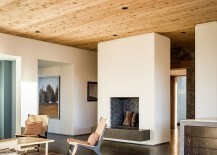 Large eaves create both a place to enjoy the outdoors all year around and protection from the summer sun, while letting in the right amount of winter sun deep into the house. 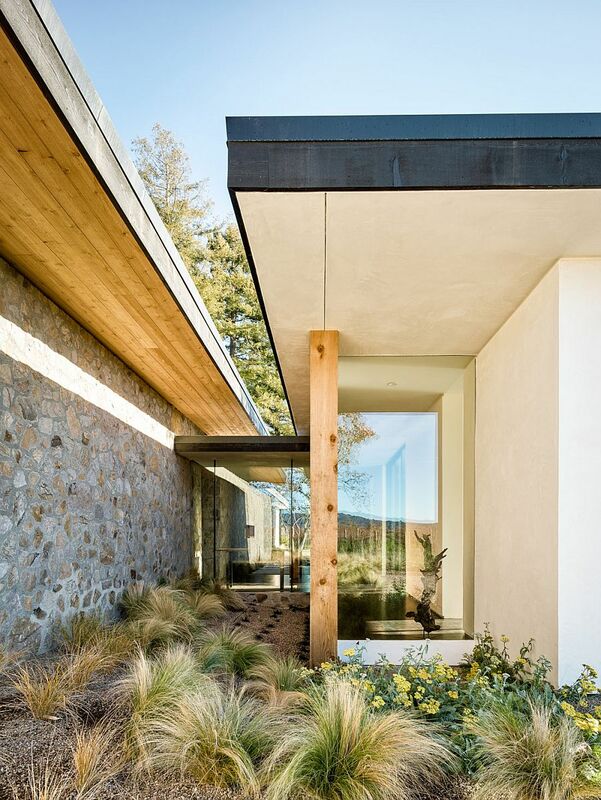 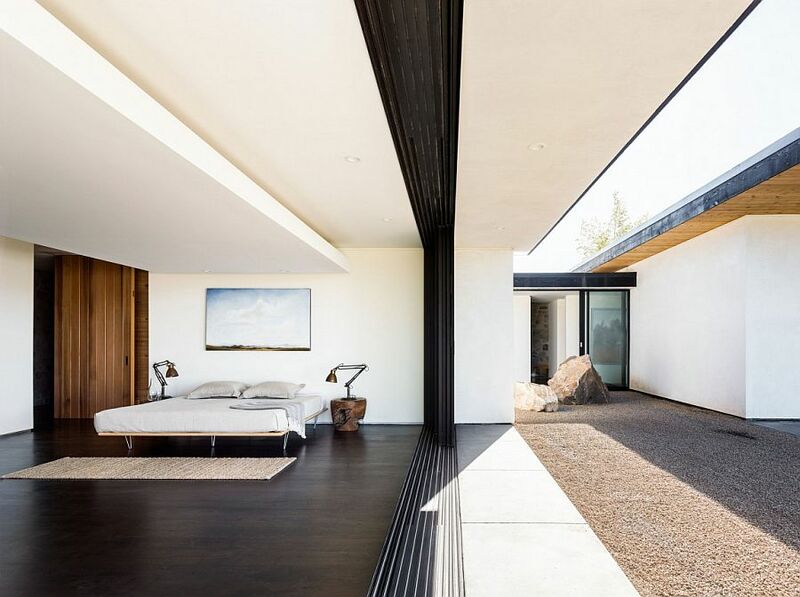 The envelope of the house enhances the control of the site while providing a sense of privacy and protection while juxtaposed with large openings to the surrounding landscape.